Texas Rangers Cards: 1976 Topps - Jim Spencer. 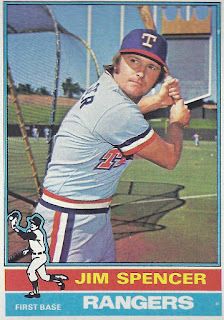 Jim Spencer was no longer with the Rangers by the time he appeared on card number 83 of the 1976 Topps set. By that time he was a traveling man. 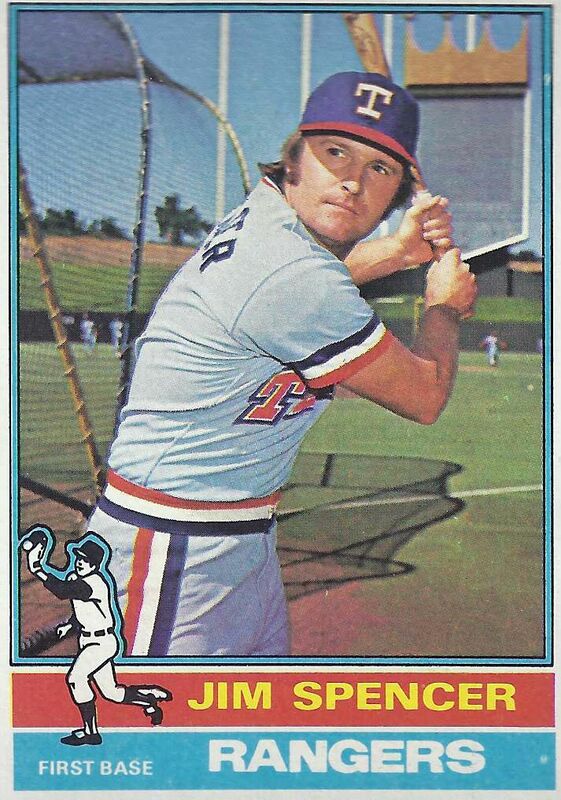 Texas traded Jim to the California Angels for Bill Singer on December 10, 1975. The next day the Halos sent him to the Chicago White Sox as part of a four player trade. Jim would stay in the Majors and be traded twice more before his career ended in June of 1982 after he was released by the Oakland A's.